A while back I wrote about how we can observe the relativistic time delay of a pulsar orbiting a companion star, and how that gives us indirect evidence of gravity waves. What I didn’t mention at the time is that actually making good time delay measurements can be tricky. The reason such measurements are tricky has to do with interstellar plasma. Contrary to popular belief, the space between stars and planets is not completely empty. Even if you ignore the gas and dust we see as nebulae, what looks like empty space is actually filled with a very small amount of ionized gas. That might not seem like a big deal, but over light years it can make a difference. Since this gas is ionized (we call it a cold plasma) it interacts with radio waves (light) coming from a pulsar. While it does absorb some of the radio waves, what matters more in this case is that it also slows the radio waves down a bit. In physics we can say the cold plasma has an index of refraction. The amount of slow down depends several things, including the frequency of the radio waves. 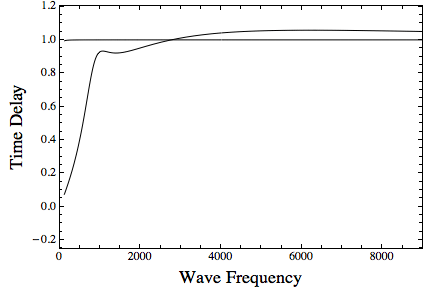 As you can see in the figure below, the effect gets bigger for low frequencies. Visible light isn’t really affected, but low frequency radio waves are. Radio signal delay vs frequency. For interstellar plasma this isn’t really a problem. When measuring the relativistic time delays we are interested in how the delay varies over time, not what its overal value is. The interstellar plasma between us and a pulsar doesn’t change much, so we can largely ignore it. But to reach us the pulsar radio waves also have to pass through the heliosphere of our Sun. The heliosphere is caused by charged particles streaming off the Sun, which forms a bubble of thin plasma around our home star. The heliosphere fluctuates over time, so it causes the time delay to fluctuate as well. If you aren’t careful, the time delay due to turbulence in the heliosphere can look a lot like the time delay due to relativity. The effect is very much like the affect of our atmosphere on starlight. Stars twinkle due to the turbulence in our atmosphere. 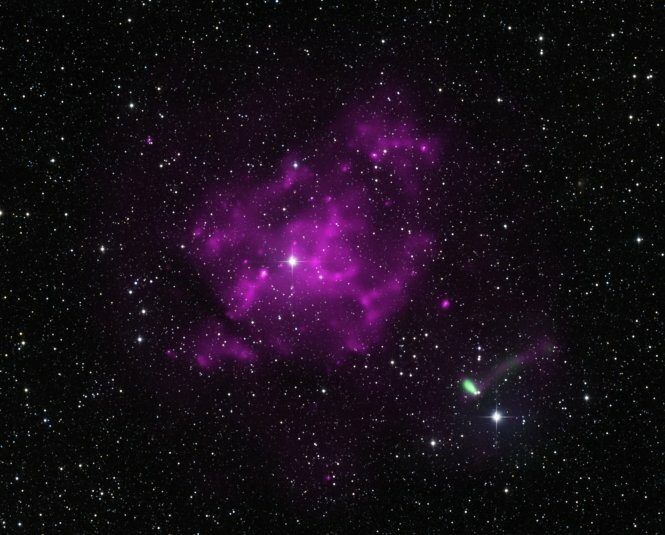 Pulsar radio waves “twinkle” due to turbulence in the heliosphere. We know how to compensate for both of these effects in astronomy, but it can be a bit of a challenge. The upside of this effect is that we can use pulsar signals to tell us things about the heliosphere and interstellar gases. But that’s a story for another time.